Whether you are out late because you were partying it up with the gang or had a rough day and got stuck at work, sometimes hunger strikes at odd hours. While Boston is generally not a late night city, there are a few spots in Boston and Cambridge that offer you the choice to either pop in and get take out to bring home any time of day or offer the option for dining in. Get breakfast, lunch, or dinner foods 24/7 at one of these late-night dining eateries. 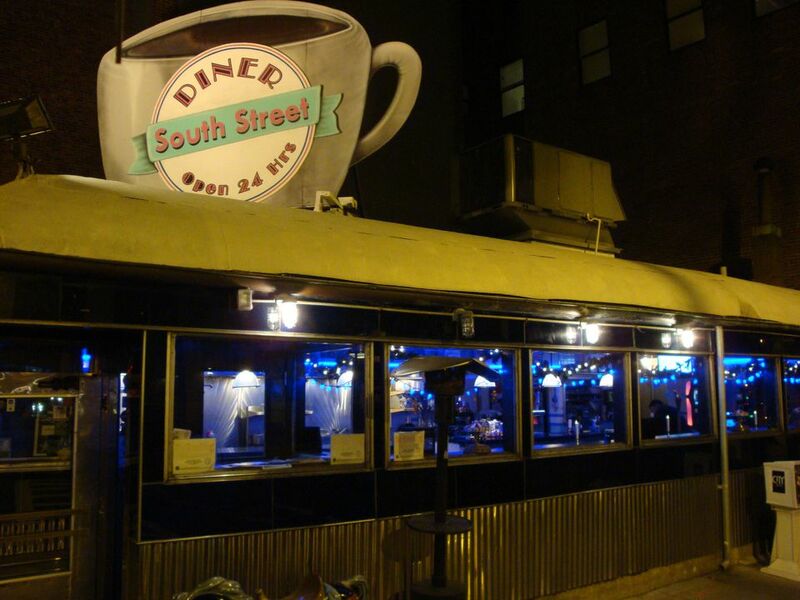 If you're looking for an old school 24-hour diner, open 7 days a week, head to South Street Diner. Since 1947, they’ve served everyone from the businessman eating a hearty French toast breakfast ​before work to the college crowd hungry for burgers and fries after a night of partying in Boston. They have received plenty of praise from the media and were awarded "Best of Boston" by ​Boston Magazine, and has also been featured in movies including "House Guest" with Steve Martin. It's the kind of place you can go alone or with others and still have fun and enjoy the greasy diner favorites you crave. Though Bova’s is just a bakery to take home treats with no seating, they are open 24 hours a day, 7 days a week for food and desserts. There is such a variety on what you can get; you could go there every day and get something different for weeks. Cupcakes, cookies, cakes, cannolis, and other desserts to satisfy a sweet tooth fill the front glass cases and counters. Then towards the back, rice balls, pizza, calzones, and stuffed croissants offer more savory meals. Deli sandwiches and subs can be made as well, and pasta dinners are available and ready to warm up. The other wall has freshly baked bread and every Italian cookie you can dream up, all offered any time of day. Open 24 hours a day Thursday, Friday and Saturday, Victoria's Diner on Mass Ave is another popular all-nighter spot. This family-run business has been around since 1949 and remains in the same location to this day, which intersects four of Boston's neighborhoods: Dorchester, South Boston, Roxbury, and the South End. Victoria's is a no-frills diner that offers quite the extensive menu for any meal, though you can get breakfast at any time of day, which includes everything from omelets to banana bread french toast. If you're looking for your fix of delicious coffee or a donut, this is your place, especially if you live or are staying in South Boston. Locals love Doughboy for its wide range of iced coffee flavors, so head here for some caffeine. Located on Morrisey Boulevard in Dorchester is Boston Bowl, a unique spot that stays open 24 hours. It's a bowling alley, so you can get your bowling on while enjoying food and drinks at any time of day.